QL Discos is one of Lincolnshire's leading mobile disco, DJ and equipment hire companies. Starting out in 1990 as a hobby it developed into a full time job by 2001 and by 2006 became a limited company. Now our team of in-house trained DJ's entertain at over 400 events a year. We are proud suppliers to Hemswell Court, Doddington Hall, Washingborough Hall, The White Hart Hotel & The Lincolnshire Showground. We are passionate about what we do with an emphasis on quality entertainment and service. Catering for all types of events including weddings, birthdays, corporate events and children's parties. 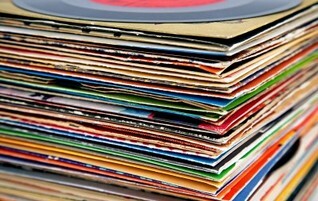 We carry an extensive music collection covering everything from the 50s to current charts. 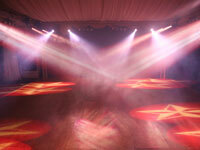 QL offers a range of different disco rigs to best suit your party size. Whether your event is in a village pub or a large marquee we have the setup for you. One size does not fit all! 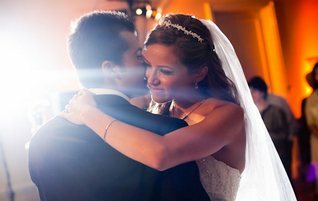 We specialise in providing a bespoke wedding disco service so you get the party you desire to complete your big day! With a wide range of hire packages available including PA equipment, Effect Lighting, colour changing uplighters, rigging systems, stage lighting. With our extensive music collection we can cater to all mainstream music tastes as well as to many speciality genres. 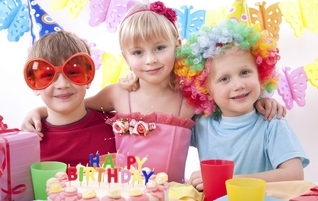 We have a selection of unique party packages so we can entertain children from 4 years right up to teenagers. 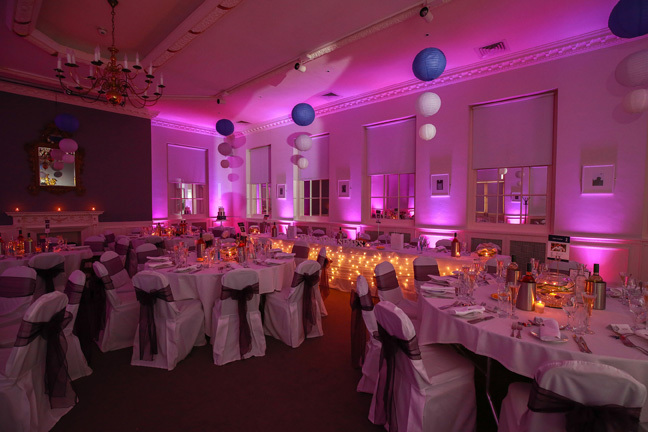 Uplighters are the best way to dress your venue with a colour wash effect that dramatically changes the whole atmosphere of any event and can be matched to your colour scheme. Our sister company QL Entertainment specialise in supplying the best in live entertainment from around the region. 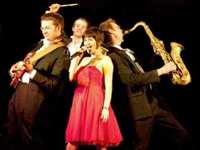 Everything from party bands to caricaturists we can put together your dream party package. We have now opened a wedding decor and prop hire shop. We stock everything you need to dress your venue including chair covers and sashes, glassware, complete table centrepieces ready to go, mirrors, picture frames, easels, artificial plants and trees. We can dress your venue for you or we dry hire many decorative item you can temporarily customise to self fit. We also hire wedding props such as post boxes, step ladders, giant light up letters, wedding thrones, starlight backdrops and star clothes, uplighters and much more.